It is hard to overstate the importance of insurance in personal and commercial life. It is the key means by which individuals and businesses are able to reduce the financial impact of a risk occurring. Reinsurance is equally significant; it protects insurers against very large claims and helps to obtain an international spread of risk. Insurance and reinsurance play an important role in the world economy and is an increasingly global industry, with the emerging markets of Brazil, Russia, India and China developing apace. Given the expanding reach of the industry, there is a need for a source of reference that analyses recent developments. This volume, to which leading insurance and reinsurance practitioners around the world have made valuable contributions, seeks to fulfil that need covering 30 key jurisdictions worldwide. With over 30 years of experience, Peter Rogan has advised on all areas of insurance with a focus on reinsurance, marine, professional indemnity and political risks. 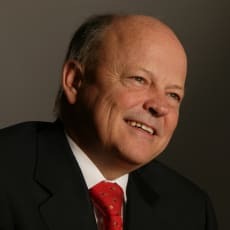 He has been involved in many of the major market issues over the years, and has developed a strong reputation for sensible strategic advice in relation to large disputes. His international practice has a particular emphasis on litigation affecting the London market and its counterparts abroad. As well as advising his clients, Mr Rogan has a wider role within the market on behalf of Ince & Co, and regularly chairs and speaks at conferences in London and abroad. Over the years, he has held senior positions in both ARIAS UK and the insurance committee of the International Bar Association. He has handled countless arbitrations and mediations, and this experience has enabled him to develop an arbitration and mediation practice, in respect of which he has taken a number of appointments. He is a mediator and arbitrator on the London and New York panels of JAMS International, and is also on the panel of arbitrators for the Singapore International Arbitration Centre. Mr Rogan was Ince & Co’s senior partner between 2000 and March 2008. In addition, as a result of the experience he gained during his period as senior partner, he is well placed to handle all types of disputes that may arise in professional practices. He has been distinguished as a leading insurance and reinsurance lawyer by Chambers and Partners, The Legal 500 UK and Who’s Who Legal, and he was named ‘Global Insurance & Reinsurance Lawyer of the Year’ in the 2012 Who’s Who Legal Awards.